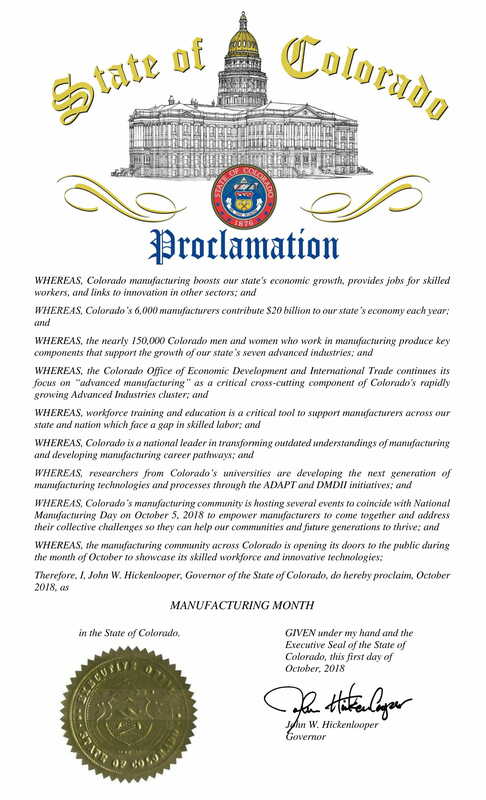 Governor Hickenlooper Proclaims October as Manufacturing Month! October is Manufacturing Month as proclaimed by Governor Hickenlooper. It is an opportunity to celebrate what manufacturing means for the state’s economic progress by looking at the role that manufacturers play in the economy. 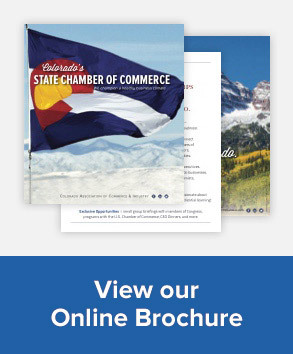 The Colorado Chamber of Commerce has put its efforts towards promoting a policy environment that makes Colorado a fertile environment for first-rate manufacturers. The Colorado Chamber also serves as the Colorado affiliate of the National Association of Manufacturers. Lalitha Christian, manager of the EXECs Advocacy Program, will soon earn her Master’s Degree in International Affairs at DU. In pursuit of her new career, Lalitha is leaving the Colorado Chamber to find an opportunity aligned with her studies. This is bittersweet for me. I’m so proud to have been part of Lalitha’s career and she’s been an absolutely fabulous team member. The EXECs Advocacy program didn’t exist before she took the initiative to start it. Now, as the 5th year wraps up on October 3rd, almost 150 rising leaders are now alumni who understand Colorado business and the critical role that advocacy plays in creating a thriving, business-driven economy. We’re looking for a new EXECs Advocacy Program Manager to take over where Lalitha left off. The position has been restructured so that the new Manager will be dedicated solely to this role, 20-25 hours a week. We’ll be hiring the right person (see job description) as soon as we find her/him. Please direct a cover letter and resume to Amber Conn, AConn@COchamber.com.